Wow, we had a scare yesterday! As I'm sure everyone's heard, there was an earthquake in Chile on Friday night which triggered a tsunami warning for Hawaii on Saturday. Since we live and have our shop on the North Shore of Oahu, we had to evacuate. Many prayers were lifted up. Thank God, HE answered by keeping us all safe. Truly HE>i. We will be at the HIM conference again this year. We had a lot of fun last year meeting many of you. Our shop will be closed on Thursday, March 4 and Saturday, March 6. 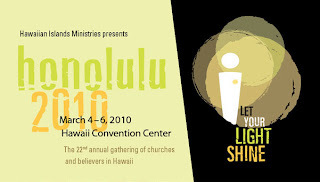 Come visit us at the Hawaii Convention Center. We have a booth and will have all our goodies for sale there. Lookout for our next newsletter in early April! We have some exciting things happening soon.